TROY, Mich. – January 25, 2019 – Altair (Nasdaq: ALTR) unveiled Altair SimLab sT, a turn-key solution for the mid-market, to more than 170 channel partners attending the company’s annual Global Partner Summit in Dubai. 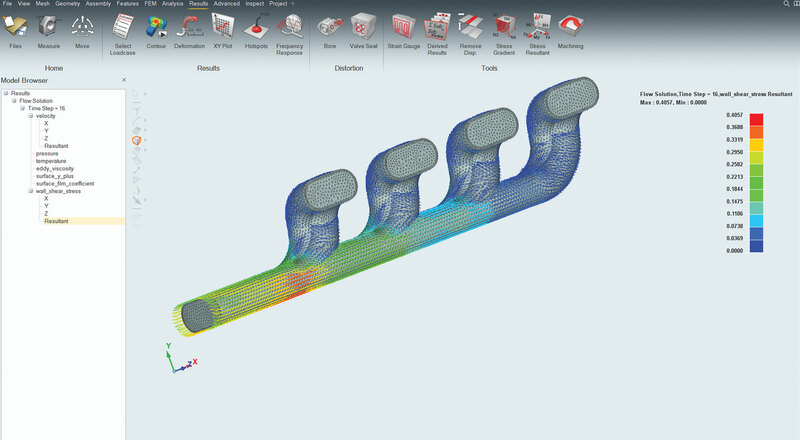 Altair SimLab sT enables a broad community of designers and engineers to leverage multiphysics simulation to confidently explore design proposals, drive innovation and accelerate product development. Designed to support manufacturers burdened with increasing complexity amid shrinking development cycles, SimLab sT automates every step of the simulation process through shareable workflows with live bi-directional connections to popular CAD systems. New User Experience Opens New Markets – The new user experience further accelerates simulation cycle time and expands the addressable markets for high-end multiphysics analysis. This includes SMB manufacturers and design engineers responsible for developing product families sharing common and variant components. 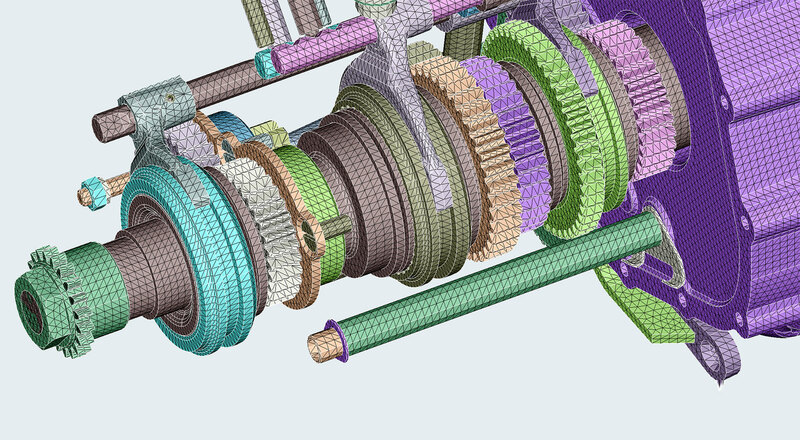 Live, bi-directional syncing with popular CAD systems – Always stay in sync with the latest design level to evaluate performance and explore proposals with live connections to parametric CAD systems including CATIA, Pro/E, Siemens NX and SolidWorks. Embedded Physics Solvers Enable CAD-to-Simulation in Minutes – The introduction of embedded physics solvers for statics, dynamics, heat transfer, fluid flow and electromagnetics provides a turn-key solution to accelerate multiphysics analyses, coupled simulations, and DOE studies from days and weeks to minutes and hours. Freedom to Choose the Best Licensing Model for Maximum Value – SimLab sT is immediately available through Altair’s solidThinking and HyperWorks suite offerings. With distinct advantages and price points, customers now have the ability to select the licensing model that enables the right set of simulation capabilities at the best value to their organization. solidThinking Units (sTU’s) Licensing Option: Provides enterprise access to SimLab sT and all of the products available through the solidThinking suite offering. 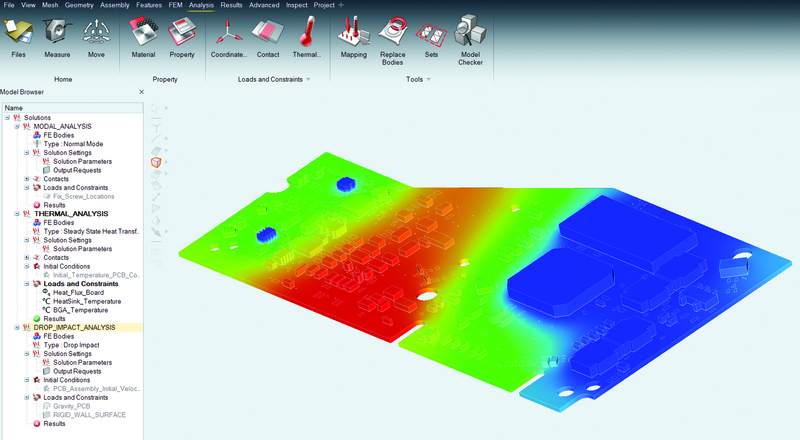 Sold through Altair’s valued channel network, the more attractive SimLab sT price point provides a compelling offering for SMB manufacturers and organizations starting or upgrading existing simulation capabilities. HyperWorks Units (HWU’s) Licensing Option: Provides enterprise access to SimLab sT as well as the ability to access all Altair products available through the HyperWorks and solidThinking suite offerings. This licensing option also includes the broadest set of direct CAE readers to run 3rd-party solvers with Simlab and access to more than 150 Altair Partner Alliance applications. To learn more about SimLab sT, register for an upcoming introductory SimLab sT webinar taking place on February 7th, 2019 or contact a regional representative at www.altair.com/simlabst. Altair transforms design and decision making by applying simulation, machine learning and optimization throughout product lifecycles. Our broad portfolio of simulation technology and patented units-based software licensing model enable Simulation-Driven Innovation™ for our customers. With more than 2,000 employees, Altair is headquartered in Troy, Michigan, USA and operates 82 offices throughout 25 countries. Altair serves more than 5,000 customers across broad industry segments. To learn more, please visit www.altair.com. This press release contains “forward-looking statements” within the meaning of the “safe harbor” provisions of the Private Securities Litigation Reform Act of 1995, including but not limited to, statements regarding our business outlook, potential growth, market positioning and future investments, and our reconciliations of projected non-GAAP financial measures. These forward-looking statements are made as of the date of this release and are based on current expectations, estimates, forecasts and projections as well as the beliefs and assumptions of management. Words such as “expect,” “anticipate,” “should,” “believe,” “hope,” “target,” “project,” “goals,” “estimate,” “potential,” “predict,” “may,” “will,” “might,” “could,” “intend,” variations of these terms or the negative of these terms and similar expressions are intended to identify these forward-looking statements. Forward-looking statements are subject to a number of risks and uncertainties, many of which involve factors or circumstances that are beyond Altair’s control. Altair’s actual results could differ materially from those stated or implied in forward-looking statements due to a number of factors, including but not limited to, risks detailed in Altair’s quarterly and annual reports filed with the Securities and Exchange Commission as well as other documents that may be filed by the Company from time to time with the Securities and Exchange Commission. Past performance is not necessarily indicative of future results. The forward-looking statements included in this press release represent Altair’s views as of the date of this press release. The Company anticipates that subsequent events and developments will cause its views to change. Altair undertakes no intention or obligation to update or revise any forward-looking statements, whether as a result of new information, future events or otherwise. These forward-looking statements should not be relied upon as representing Altair’s views as of any date subsequent to the date of this press release.